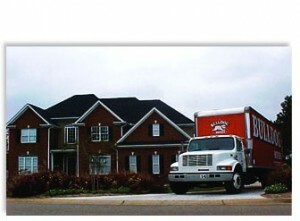 For the best movers in the Mableton, Georgia, area, look no further than the team at Bulldog Movers. We know that it can be difficult to entrust your valuable possessions in the hands of strangers, which is why we go above and beyond to ensure that each of the movers on our team is highly qualified, trustworthy, and will treat you and your belongings with the utmost respect and care. We are also one of the few movers that provides our customers with comprehensive and accurate moving estimates up front, instead of trying to hike up the cost with hidden fees once the job is completed. Because of the emphasis we place on exceptional customer service, we’ve created a sterling reputation for ourselves and garnered numerous accolades, such as an A+ rating with the Better Business Bureau and the Consumers’ Choice Award nine consecutive times. In addition to our impressive personnel and services, Bulldog also utilizes larger trucks than many of our competitors. Most moving companies use trucks typically measuring 24’ by 7.5’, while our trucks measure an impressive 26’ by 9’. Since we can transport more of your belongings at once, the amount of trips needed is reduced, which can potentially save you money. To find out more about how our movers can help you with your relocation to or from the Mableton, GA, area, or to request a free moving estimate, contact Bulldog Movers today.